Under a statist model, general sovereignty and ownership over a territory is granted to some entity charged with governing the territory in a so-called “public interest.” The degree of environmental protection provided by the statist model will depend on various factors, both political and practical. Historically, this model leads to the suppression of selected uses of resources in favor of uses preferred by politically advantaged interests. As a guardian of the environment, whether from the point of view of preserving sustainable ecosystems or preserving public resources (e.g., clean air, water, food stocks), the state may have sometimes played a positive role, but on the whole its record is rather dismal. The state will almost always choose to subsidize or enable industries that increase its power and reward its patrons. The development of nuclear weapons, fission power, and dominance of the military-industrial complex over environmental interests whenever a state is stressed militarily (and often at other times) provide a few examples. Certainly, the concept of property claims over land can also play an important role in environmental protection. Environmental resources can be preserved by private property to any extent desired by the property owners capable of defending their property interests. Rational owners will generally prefer to preserve their lands to the extent preservation does not deprive them of the benefits of ownership. However, price competition among sellers of goods of all types can lead to widespread disregard for long-term environmental sustainability or other adverse impacts on neighboring or public resources, in pursuit of short-term reductions in production costs. This so-called “socialization of costs” is a problem with free market capitalism that is often used to justify state intervention. Purely private property regimes similarly can lead to unchecked exploitation of any resources unprotected by a private property claim, as in the “tragedy of the commons” examples. Respected earlier thinkers in the area of self-organized society, for example Murray Rothbard, looked mainly to enforcement of property rights by individuals or private collectives for environmental protection. Among other things, such writers have recognized that if the general public favors environmental protection, so will a majority of property owners, assuming that property rights over land are not concentrated in the hands of a few. This majority of property owners can then freely choose to exercise their property rights for the purpose of preservation. Property-based approaches to environmental protection are better described elsewhere, and need not be repeated in detail here. We shall consider instead how environmental protection might work in a voluntary law society, where the legal basis for property rights over everything except the self are individually determined. Public or corporate ownership are not possible under voluntary law, because individuals are the only recognized legal entities. There are only two basic forms of ownership: individual ownership or joint ownership. A third category can be added: “no ownership,” covering resources over which no enforceable ownership claim exists. Enforcement of private property rights as a means of environmental preservation is perfectly consistent with voluntary law, so long as all participants hold a uniform view of property rights. Property-based approaches falling under the label of anarcho-capitalism, such as proposed by Dr. Rothbard, depend on a consistent definition of property rights within any particular society. Establishing such consistency, even among small groups of anarcho-capitalists, has proven elusive. Despite much theorizing and debate, no overwhelming consensus regarding the origin, scope and validity of various types of property rights has emerged. Voluntary law avoids social divisions over property rights, by making all property subject to each person’s right of ownership and full sovereignty over herself. Each society member has the right to decide the nature of property rights they will respect, so long as they publicly adopt a coherent definition of such rights. Generally observed conflict of law principles, such as TROTWET, must be used to resolve conflicting laws regarding property rights, to enable this legal system based in self-sovereignty to function. When PA ≠ PB & CA = CB, the lesser of PA & PB is enforceable (wherein ‘PA’ signifies A’s Exclusionary Privilege; ‘CA’ signifies A’s Antecedent Condition; ‘PB’ signifies B’s Exclusionary Privilege; and ‘CB’ signifies B’s Antecedent Condition). When PA > PB & CA ≠ CB, only PB is enforceable, and only if the person seeking PB has satisfied the most stringent of CA & CB. When PA < PB & CA ≠ CB, only PA is enforceable, and only if the person seeking PA has satisfied the most stringent of CA & CB. Consider, for example, two society members who have both satisfied the same antecedent condition to a claim over a parcel of land, but claim different exclusionary privileges. Mike claims the right to extract minerals only, and desires to strip-mine the land. Nosh claims all surface rights, and desires to keep the land as an ecological preserve. From a perspective focused only on the parties Mike and Nosh, Mike’s exclusionary claim is weaker than Nosh’s, because Mike would not exclude anyone from the land, including Nosh, for purposes other than extracting minerals. Nosh, in contrast, would exclude every use that conflicts with the ecological preserve. Accordingly, if Nosh is to legally exclude Mike from strip mining the parcel, she must be the rightful owner under the property rights law, as between her and Mike, with most stringent antecedent conditions. In addition, she must obtain a ruling from a reputable jurist either based on Mike’s exclusionary rule, or based on a legal finding that Mike’s rule as applied is more exclusionary and her rule is “weaker.” The latter finding may provide legal protection for the reserve even in the absence of a superior ownership claim. From a public benefit, natural resource perspective, Nosh’s exclusionary claim may be regarded as weaker than Mike’s, depending on how Mike will mine the minerals. Assuming that strip-mining will destroy the utility of the land for most other purposes, but maintaining it as an ecological preserve will destroy nothing, strip-mining is more exclusionary, in actual effect. A property claim that deprives other people of the benefits provided by a resource, by irreplaceably depleting or destroying the resource without providing offsetting benefits, might be considered the stronger tool in a TROTWET analysis. A jurist might permit Mike to mine without being considered an aggressor against Nosh, only to the extent that he does not substantially interfere with the ability of Nosh to maintain most of the land in a preserved state. For example, if the strip-mining is limited to a small, uncritical part of the Nosh’s property claim, presuming the conflicting property claims are both valid and overlap in area, a jurist might rule that the uses can coexist. Conversely, the jurist might find that habitat to be destroyed is too critical to be permitted, and place certain limits on the mining activity to prevent substantial damage to the condition of Nosh’s land. The example illustrates how conflict of law principles, namely TROTWET, can be used to reconcile conflicting claims over natural resources, in cases where overlapping real property claims exist and are both valid. Equally valid real property claims that overlap in area are not the only context in which environmental issues can arise. On the contrary, most environmental law issues under voluntary law will probably arise in different legal contexts. These other legal contexts include conflicts between land uses and neighboring rights; compensation for damages to adjacent people or properties; and regulation of activities that harm the natural environment in general (e.g., “global warming” or “over-fishing”). These will be considered in turn. When property rights are defined by personal adoption, neighboring rights must be analyzed differently than under state-defined law. Property can be conceptualized as a bundle of rights, and legal conflicts can occur when neighbors do not observe exactly the same bundles in their neighboring claims. Such conflicts can be fairly trivial or quite significant. To provide a trivial example, suppose Jose and Randall are neighbors in a residential area comprised of small plots of land. Jose believes his property rights entitle him to keep a rooster; he needs to awake early every day anyway and the rooster reminds him of home. Randall works late into the evening and needs to sleep in the morning; he believes his property right entitles him to quiet in the morning. There is no state law that can reconcile conflicts of this nature between neighbors, to the satisfaction of both. Either Randall will impose his need for quiet on Jose, or Jose will impose his need for a rooster on Randall. States often handle these sorts of conflicts using zoning regulation. Roosters are allowed in some zones (e.g., agricultural zones) and not in others (e.g., residential zones). Hence, in theory, both Randall and Jose can find satisfaction by moving to an area that is zoned for their desired use, although in practice this may be difficult or impractical in many instances. Voluntary law can provide a regulatory system that provides the benefits of zoning, but in a much more fine-grained and flexible way. One of the pillars of voluntary law is public adoption, which provides notice to others. Hence, before moving into an area populated by voluntary law society members, every migrant to the neighborhood has an opportunity to learn the codes of conduct observed by their future neighbors. A diligent and considerate migrant will consider the property laws adopted by his neighbors before choosing a neighborhood to move into. Buyers may also refuse to sell anyone with incompatible property laws, by agreement with one another or by individual volition. In this way, neighborhoods may naturally segregate themselves and realize shared expectations for their respective “zones”, without any need for central planning or political influence beyond the immediate neighborhood. In a society based on reputation, reputation is more valuable than anything else. In a truly stateless, voluntary law society, there would be significant disincentives to developing a reputation as a bad neighbor. Also, it would be easy enough for almost everyone to find a neighborhood to their liking, because like-minded people will not be hard to find when public registries of legal preferences are available. If one prefers to live in an animal-friendly neighborhood, these neighborhoods would be easy enough to find in every urban area, and could not be banned by the whims of municipal politicians. In most places, there would be no need to sacrifice one’s reputation as a good neighbor to live as one pleases. Thus, most people would choose their neighborhoods based on the publicly adopted laws of the residents there; “zones” with various preferences would arise naturally and evolve flexibly, and peace would on the whole be preserved. Borders between neighborhoods of different types would naturally tend to form around barriers such as rivers, highways, roads, parks, commercial zones, buffer neighborhoods, or any other features creating adequate separation or legal buffers. To a degree, this natural self-segregation and separation can be observed in many large cities despite uniform zoning, even today. Voluntary law would simply allow this natural process to occur more robustly, engendering a great deal of vibrant and harmonious diversity in urban neighborhoods. Naturally, some conflicts between neighbors holding different codes of conduct will inevitably occur; some buyers and sellers will disregard the adopted laws prevalent in a neighborhood. Because of the flexibility of voluntary law, such negligence or callous disregard for the preferences of one’s neighbors will be swiftly penalized. For example, suppose Jose with his crowing rooster moves into a neighborhood of people such as Randall, who in anticipation of this possibility might have enacted a law that enables immediate mitigation of any persistent noise occurring between certain hours, retaliatory noise-making, or some other creative disincentive for the legally obtuse. If Jose does not voluntarily manage to silence his rooster at the proper times, he is likely to find his rooster kidnapped and moved, if not killed, penetrating noise beamed into his property during his sleeping hours, or claims for damages brought by his neighbors, or some other consequence. Consider how a voluntary law jurist might analyze claims around such self-help measures against bad neighbors. Suppose, for example, Randall removes Jose’s rooster when no one is home and places it in an animal shelter, and the shelter requires Jose to pay a fee if he desires to retrieve it. Randall’s law permits this remedy against noisy nuisances, but under Jose’s law it is a violation of his property rights in the rooster as well as a trespass on his land. If Randall’s law admits the same property rights as Jose’s while permitting nuisance abatement as an affirmative defense, then Randall will lose. As analyzed previously, under TROWET the stronger affirmative defense will not be applied. However, if Randall’s “bundle of rights” in his property law expressly excludes the right of ownership of noisy animals on residential land of less than a certain extent, then his will be the weaker positive law, and Jose’s property claim will fail. Jose’s trespass claim will succeed, but if Randall extracted the rooster without any other damage to Randall’s property, and without violating any other right recognized by Randall, Jose’s claim for damages will either be minimal or non-existent. The exact manner of retaliatory self-help that is most prudently applied will depend on the various voluntary laws at play under the particular circumstances. In a vibrant voluntary law society, self-help experts will doubtless exist who are expert in handling neighbor conflicts over nuisances or other uses contrary to recognized property rights in an area, with minimal cost and risk. Such self-help experts will be funded by Jose’s neighbors who are sufficiently annoyed by his rooster or concerned about degradation of neighborhood standards. Jose will quickly discover that, being surrounded by motivated neighbors willing to mount an active defense of neighborhood standards and able to hire a competent professional to assist them, he is far better off moving to a neighborhood where roosters are allowed, rather than being a bad neighbor in Randall’s neighborhood. Likewise, Randal would find it difficult and expensive to wage a lonely campaign for morning quiet in a neighborhood dominated by residents who keep animals in their yards. Were he to have blundered into such a noisy neighborhood, he would be incentivized to move to a neighborhood where morning quiet is highly valued. Dealing with a few noisy animals or similar trivialities can easily be dealt with by self-segregation and self-help, but what about more substantial transgressions of neighbor rights? Some types of uses are not easily amenable to self-help, and legal solutions may provide more peaceful and lasting resolutions. In the progressive-authoritarian view, overwhelming state power is needed to resolve substantial conflicts between land uses. What are these more substantial transgressions of neighbor rights? Noisome and well-defended business or industrial uses, and diversion, depletion, or destruction of common natural resources summarizes the categories fairly well. Some of these transgressions can be mitigated by more robust notions of private property that would doubtless exist in a self-organized, decentralized society. For example, suppose Jose decided to run a 24-hour tavern and brothel, or a smelly biodiesel refinery, on his property in Randall’s neighborhood of quietude. If Jose’s property is surrounded by neighbors seeking to enforce quiet and clean air, they will exercise their private property rights and common interest in quiet to erect impediments to unwanted commerce. For example, they might erect a security fence around the neighborhood and prevent people or supplies from reaching Jose’s business by land. He would have to fly everything in, putting his business at a great competitive disadvantage. Beyond transportation difficulties, Jose will have to enact security measures to defend against self-help and nuisance abatement measures such as he experienced when keeping his rooster. This would further increase his costs. In short, only a fool would attempt to run a business that offended the clearly declared preferences and customs of the overwhelming majority of his neighbors. Jose will also be subject to risk of having to pay compensatory damages, if any of his activities impinge on neighboring properties. He may try to avoid such risk by adopting extremely weak laws, but this is a dangerous game to play, because the more egregious the environmental assaults his laws would excuse, the more likely is he to be subject to those very assaults, which by his own laws can be freely meted out to him without penalty. Suppose, for example, Jose decides to earn a living by running a hazardous waste dump in Randall’s neighborhood. To cut costs he does not secure the waste carefully, and it leaks or migrates into neighboring properties. If Jose’s laws do not provide a reasonable remedy, he will quickly find his own wastes will be deposited on his own place of residence, or if necessary, on his person. In the extreme, lawless egregious polluters would acquire a reputation like one who condones murder, and will receive practically the same treatment. Such instances would be very rare. More common would be instances of simple negligence or unfortunate accident causing pollution of neighboring property, where the land owner lacks the ability to remedy the situation or make his neighbors whole, even if he is willing enough. Such situations are no different in kind than any other misfortune. The land can be sold and such terms of partial repayment as are permissible under the applicable “weaker” laws worked out, to pay the debt. If a willing buyer can be found who is capable and willing to clean up the mess, fine. If not, it will fall to the neighbors to deal with the situation as best they can. This can include appealing for help to the broader community, in ways such as described below. In a truly free and prosperous society, diverse and effective help would certainly be found, because preserving clean air and water is in everyone’s best interest. Government regulatory activity is often justified by protection of the environment. Often, the justification is debatable or dubious. Even when the justification is well-supported by evidence and the solution aptly tailored to the problem, the government action inevitably privileges some special interest that has lobbied for the exercise of power. Hence the power tends to multiply beyond appropriate uses, and too often transforms into a blunt instrument of doubtful utility except to the minority special interests that are privileged by its exercise. In a stateless voluntary law society, in addition to defenses provided by self-help and more robust notions of private property, effective social pressure can be brought to bear to resolve substantial transgressions of neighbor rights, without the need for state power. It should be appreciated that an entirely stateless voluntary law society is not likely to exist anytime soon, although voluntary programs towards solving environmental and other social problems are already in widespread use. As far as can be seen from 2015, substantial conflicts between land uses and commercial activities are likely to continue to involve state agencies, for the foreseeable future. The scenarios conjectured below are beyond the foreseeable future, when nearly everyone has adopted voluntary law and no state exists. The state will in its role as a guardian of “commonwealth” resources be replaced by decentralized political institutions that are much less prone to undue influence by special interests, much nimbler in action, more pervasive in effect, and much better able to grapple with private collectives (such as we know today as “corporations” are entirely a creation of the state) without risk of capture and control. We may speculate about forms such new political institutions might take, but it should be appreciated that such possibilities will necessarily be limited to rather vague outlines as is appropriate for the imagining of a far distant future. The exercise is rather like imagining the form of a flying machine before the first airplane has been built or flown. Political institutions arise from political pressures, and as much if not more than any other society, voluntary law societies provide effective pathways via which political movements can form and engender the effective exercise of political power. The body politic is formed not by the imprecise and oppressive methods of voting and majority rule, or by the diktats of ruling elites, but by individual, public adoption of law. When new problems are recognized that are amenable to solution by social action, individuals can begin to devise, adopt and promote the adoption of laws that will bring about a desired social action. As evidence in favor of news laws and the desirability of the social action grow, the movement gains momentum, and more people adopt the new laws. The more effective, sensible and just the new laws are, the more quickly they will be adopted. After a point, any person who refuses to adopt the new laws stands to lose their reputation as an upright, socially conscious member of the community. To illustrate the general principle at work remedying diffused forms of environmental harm, consider the adoption of new technology intended to benefit the community as a whole. Suppose, for example, air pollution from automobiles or any other dispersed source is a recognized problem in a community. For the sake of example, assume that there is little direct pressure on polluters, because there are a great many very small sources of the pollution, each of which contributes an insignificantly small fraction to the overall problem. Nonetheless, astute individuals recognize the problem and develop a technological solution, for example a catalytic converter or cleaner burning engine. However, the new technology adds to the cost of automobiles, and provides only social benefits with no real benefit to individual consumers, so there is no economic incentive for manufacturers of automobiles to adopt it. Social action is required for the new, cleaner technology is to be adopted. There is an economic incentive for those who will be profiting from the sale of the new technology to promote it. Such people, the entrepreneurial innovators, therefore will cooperate to ignite a political movement. They will promote the social benefits of the new technology, and educate the most enlightened and respected community leaders about it. They will defend their proposals for implementing the new technology against skeptics and detractors. They will enlist skilled and respected jurists to craft laws, if appropriate, designed to encourage implementation of the technology. And once all the necessary groundwork has been laid, they will launch a public relations campaign to persuade members of the general public to take some desired action, which in many instances may include adopting a new law. The new law may take any effective form. It might take the forms of a mandate enforced by a penalty, similar to environmental regulations as we know them today. Or it may take some more sophisticated form that is more appropriate or effective in a voluntary law society. For example, individuals may adopt a law that provides that if they purchase a new automobile after such-and-such a date that emits more than a specified amount of pollution per unit of use, they will pay a fine to an environmental defense organization of their choice. Once manufacturers see that a market majority has adopted the law, they will begin to phase in the new technology, knowing that demand for the old technology will diminish after the date, while the manufacturers who are the first to meet the increasing demand for the new technology will be better positioned to reap the greatest profits, and gain market share. This sort of consumer mass movement to adopt new voluntary laws can be used to mitigate any diversion, depletion, or destruction of common natural resources that is ultimately driven (as most such activity is) by mass consumer demand. It does not matter whether the source of the injustice is diffuse, or limited to a few actors; a single polluting industrial plant can just as easily be displaced by a cleaner source, as can any number of pollution sources. So long as substantial demand for “certified clean” supplies of whatever the polluting industry is producing exists, economic pressure can be brought to bear. Individual commitments by consumers to change their consumption habits or pay fines to fund defensive or mitigation efforts can create economic incentives for any feasible change, or the preservation of any resource widely believed to be in the public interest. It does not matter whether a small minority refuses to adopt new, more socially conscious laws, when the source of the problem is mass demand. Substantial reduction in demand for the more harmful alternative will often be enough, and can be aided by various social pressures exercised by the majority against the minority of hold-outs, such as widespread, voluntary denial of access to services to anyone who has not adopted a popular law. The more serious the perceived problem and the more certain the socially preferred solution, the stronger such political pressure is likely to be. Conversely, questionable or easily attacked solutions will receive little support. Even meritorious solutions to social problems may go unresolved. If consumers in an area do not care about pollution, destruction or depletion of irreplaceable natural resources, or other social harms, they cannot be forced to change their behavior by a minority that disproves of their conduct. Voluntary law is not a vehicle for rule by elites. Voluntarily adopted laws must have widespread appeal, to have widespread impact. Yet if voluntary law were ever to become widespread, it would necessarily be preceded by a general prosperity, security and stability that enabled the infrastructure needed to support voluntary law to develop, and the profound social and moral transformation that underlays it to peacefully unfold. It seems impossible that voluntary law societies would develop where bare survival is a ceaseless struggle and poverty is the norm. Therefore, imagining a future world of voluntary law means imagining a generally prosperous world, in which, absent extremely rare massive natural calamities, the majority of people are not overly distracted about their future security. As in every prosperous society, values shift in favor of long-term goals and preserving social order, as people are less worried about meeting their immediate needs. In such a society, there is likely to be debate about the merits of different long-term goals and the best ways to achieve them, but blatant disregard for obvious social and environmental problems would be highly irrational and unlikely to be sustained. The vast majority of people would care about preserving social order and a sustainable basis for that order to continue. Political movements for voluntary adoption of law by a substantial majority of consumers, effective as they might be, will not solve every social or environmental problem. Consider, for example, the threatened extinction of the rhinoceros caused by fervent and probably irrational demand for rhinoceros horn by a very small minority of consumers. Such minorities may persist in pockets of the world, beyond the reach of political pressures defending rhinoceros populations, and oblivious to the long-term consequences of extinction in favor of short-term gain. Traditional states have reacted to conserve certain species by banning trade or importation of related contraband, such as rhinoceros horns or products. Such trade bans, however, have not been very effective. In the case of the rhinoceros, trade bans have been dismally ineffective. Instead of reducing incentives for poaching, the bans have greatly increased the profits associated with poaching and smuggling horn, increasing economic incentives for the trade. Meanwhile, the bans have prevented the open introduction of less ecologically damaging alternatives to displace demand for genuine or wild horn. Political pressure in a voluntary law society could scarcely do a worse job. Voluntary law, on the contrary, provides a more effective lever than international bans on trade for political change: social pressure on every individual to declare her position on every social question of widespread interest, whether good, bad or indifferent. 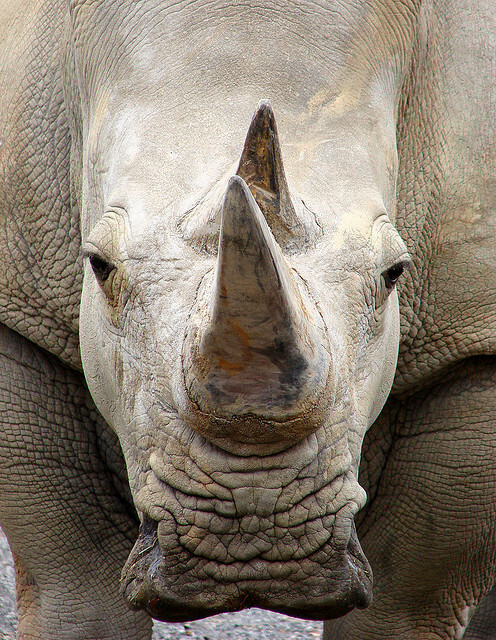 To use the rhinoceros example, consumers of rhinoceros horn must either hide their consumption of horn, or publicly adopt laws that do not recognize any penalties for commerce or consumption of products from rhinoceroses. If they violate their own adopted laws without paying appropriate penalties, they risk exposure as hypocrites and liars, and legal claims can be pursued against them in a manner analogous to present-day criminal laws. Conversely, if their adopted laws do not provide any protection for rhinoceroses, all those who value rhinoceroses can easily discover their lack of concern, and refuse to transact with them. Open resistance to predominate cultural values cannot easily persist except within a sub-culture that provides support for the resisters. While voluntary law provides for toleration of such sub-cultures, it simultaneously makes them easily identifiable and thus, subject to a sort of precise negotiating pressure that is absent when sub-cultures hide behind larger political units. For example, although it is known that much demand for rhinoceros horn arises from within Vietnam, such consumers are no doubt in a small minority even there. When nations impose sanctions on Vietnam in an effort to encourage a “crack down” on users there by the Vietnamese national government, such sanctions harm diplomatic relations in unintended and unforeseen ways, and penalize a great many people who have nothing to do with the problem. Thus, sanctions tend to be overly broad, and ineffective in targeting bad behavior. In contrast, if most consumers of rhinoceros horn belonged to an easily identified sub-culture, which by definition excluded anyone opposed to consumption of rhinoceros horn, this subculture could be targeted and addressed in very precise ways, on a thousand different fronts, by decentralized and independently operating opponents of the trade in horn. Many of these independently operating defenders of the rhinoceros would employ different means to the end. Some may employ shunning. Others may employ providing alternatives to displace demand for horn. Others may employ educational and propaganda measures. Others may provide or support defensive force in rhinoceros preserves, defensive subversion of markets with counterfeits, and other methods to frustrate hunting and deprive traders in horn of profits. Confronted with this army of determined, intelligent and compassionate opponents of their consumption habits, who are constrained only by their own freely adopted laws in the development of diverse remedies and defensive measures, we might expect the problem to be subdued much more rapidly and humanely than is possible by the blunt instruments of government power, and limited imaginations of a few bureaucrats or politicians. Whatever the exact form of solutions, there are reasons to believe that widely-condemned activity by minorities would be more effectively and humanely suppressed under voluntary law, than in the world of today. Exhaustion of natural resources of the sort driven by irrational consumer demands for articles such as rhinoceros horn may be more easily solved than environmentally destructive behavior driven by economic necessity. Even in the generally prosperous world in which voluntary law might evolve, substantial minorities of impoverished persons, or at least less economically advantaged persons, would still exist. Those who are less well-off may seek to improve their economic status by making property claims of one sort or another over resources that are held by the majority to be reserved for the public domain. Consider, for example, the problems of protecting wildlife or nature preserves from exploitation for mineral or organic resources, or aquatic resources from overfishing. If the exploitation is industrial in scale, with the aim of producing products destined for mass markets, widely abhorred forms of environmental depletion or destruction can be prevented by the sort of consumer mass movements already described: consumers may voluntarily declare that they will, subject to fines paid to environmental defense funds, abstain from consuming products produced by socially unacceptable means. However, if the exploitation is driven by bare economic survival, we might wonder whether such social pressures would be effective. Would a starving fisherman really care if few people will buy his fish out of concern for the environmental impact of the catch? He will not care, if he needs the fish to feed himself or his family. Such a person is motivated by the survival instinct, not by seeking greater profits. Nonetheless, it is not difficult to image how the power of consumer mass movements can be directed to prevent and mitigate even the micro-deprivations of the poor. In a world in which capital derived from consumer mass movements can be focused anywhere without barriers imposed by national or local governments, environmental defense agencies would compete for the funds supplied by popular mass movements to focus effective solutions on the most critical problems. For example, defense agencies may hire rangers to patrol the most sensitive wild areas and disrupt ecologically damaging activity, while directing the poor who are causing damage to more sustainable forms of survival, though means such as education coupled with subsidizing temporary means of support. Persuasion will be the primary tool, because both sides of the confrontation – the defense agencies and the poor exploiters of the environment – will be protected by their chosen voluntary laws. In addition, because both sides would be on an equal rights footing by the universal elevation of personal sovereignty all other rights, persuasion will nearly always provide more cost-effective solutions than coercion. Environmental defense agencies will compete to devise and implement the cleverest, most cost-effective means of protection, knowing that their reputation and profits will be commensurate with their degree of success. Consider again, for example, the case of the starving fisherman. This poverty-stricken fellow will be astute enough to have adopted a law that provides for his right to fish irrespective of whatever environmental damage his fishing may cause. Therefore he cannot be bodily prevented from fishing, such as by kidnapping, imprisonment, or murder. Assuming all persons employed in environmental defense work respect basic property rights, his fishing equipment cannot be seized either, without giving rise to a claim for compensation. Although one approach is to simply seize his equipment and pay any required compensation, such an approach would likely be unnecessarily risky in most cases, for many reasons, not the least being the risk of bodily harm to the taker or defender of the equipment. Second, the economic value of the seized equipment cannot be recovered without placing it into the stream of commerce, where it is likely to be used in the same undesired way. Also, payment of compensation to the fisherman enables him to purchase replacement equipment and go back to the only business he knows. Funds used for confiscation activities are better put to work in a positive, persuasive way. For example, environmental defense funds may be used for funding educational measures regarding sustainable fishing, providing incentive payments to fisherman for participating in educational programs, hiring the best as conservation rangers and educators, and subsidizing activities known to promote sustainable use of local resources. “What’s your law” is very effective way to promote change through grass-roots popular movements for any social cause. Such movements will not always be the most enlightened or optimal, being still subject to popular delusions. However, grass-roots movements based on delusions can and will be successfully resisted by principled, rational people, who under voluntary law cannot be forced to comply with deluded notions of others. Populations may still be manipulated by special interests, but not as easily as influencing a state legislature to pass a law. For example, suppose a vaccine manufacturer wished to create demand for a vaccine. It might seek to influence operators of public facilities (e.g., schools, hotels, restaurants, entertainment venues, etc.) to deny service to any person who cannot certify that they have been inoculated with the vaccine. Supposing some percentage of operators institute the practice of examining customers regarding their vaccinations, whether or not this becomes widespread will depend on the degree to which the public sees the vaccination as necessary. To the extent a segment of the population perceives and can persuasively defend a position that social pressure is overly onerous, a backlash will eventually arise to resist the unjustified pressure. Social pressure under voluntary law won’t provide perfect, fool proof solutions to social problems, including environmental problems. It will, however, expose the fools and profiteers more quickly, and deprive them of the cloak of authority. Unconstrained by anything but reason, perception, and the constraints of personal sovereignty, social pressure under voluntary law may be expected to address and resolve every problem that is amenable to resolution by social action much more nimbly, flexibly, and in the end, more justly than authoritarian approaches.